I suspect you are missing either the php_openssl, curl or the php_com_dotnet extension. I added some checks for those extensions as well so the error should be better. the run.bat should do that but maybe it didn't work. 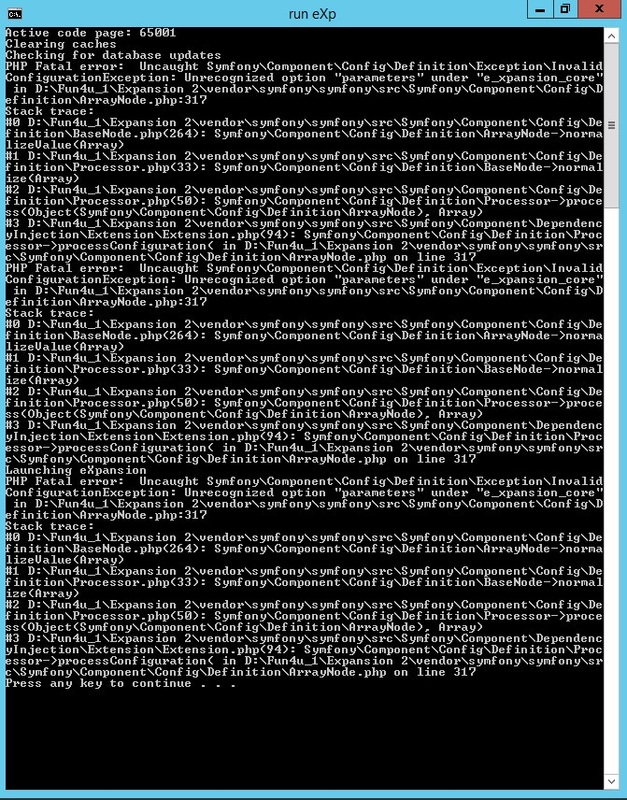 It doesn't load the Core which is why it can't figure out how to read the configurations. That looks like the old configuration files. ALL: # The game mode to apply he config for. ALL: # The script mode to apply the config for. I must say it works good and looks very nice kudos boyz ! Edit us the fun4u servers yours? Because if it is you are using dev snapshot the beta?